Professor Rene H. Miller (May 19, 1916 — January 28, 2003), , Emeritus H.N. Slater Professor of Flight Transportation at the Massachusetts Institute of Technology, was one of the most influential pioneers in rotary wing aeromechanics as well as a visionary whose dream was development of a tilt-wing / tilt-rotor based short haul air transportation system. Rene Harcourt Miller was born in a Tenafly, New Jersey. He studied B.A. degree in Mechanical Sciences at Cambridge University in England in 1937. In his first job as a vibrations and structures test engineer at the Glenn L. Martin Co. in Baltimore, he encountered some “tricky” problems associated with the design and testing of the XPBM-1 Mariner twin-engine flying-boat (XPBM-1 first flight was on 18 February, 1939). Flying in the XPBM-1 as a test engineer was memorable and included measuring the vibratory structural response excited by on-board shakers. 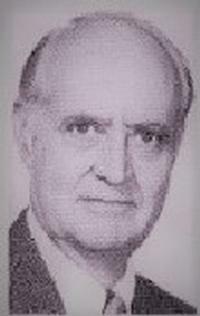 Rene joined the McDonnell Aircraft Corporation in 1940 as chief of aerodynamics and development. In 1944 Rene moved to Boston to join the Aeronautics and Astronautics Engineering department at MIT, an institution with which he was associated for almost 60 years. He continued to work for McDonnell as a consultant his first few years at MIT. In 1954 he obtained his M.A. degree from Cambridge University in England. In 1955, Rene returned to MIT where he developed courses in a variety of subjects including Vertical Take-Off Aircraft, Flight Vehicle Engineering and Space Systems Engineering. In 1962, he was appointed H. Nelson Slater Professor of Flight Transportation. He promptly founded the MIT Flight Transportation Laboratory (FTL). The activities at FTL resulted in substantial research program for the US Department of Transportation on many aspects of flight transportation including the use of vertical take-off airbuses for heavily congested areas. In fall of 1968, Rene was appointed Head of the MIT Aeronautics and Astronautics Department serving in this position for 10 years. Rene became Professor Emeritus in 1986 and moved to Penzance, England. After retiring, he continued with his research on wake models, in particular the fast free wake methods. He continued presenting his research at conferences and published several journal papers. Rene’s exceptional accomplishments have been recognized by numerous awards, the most important were: election to the National Academy of Engineering, AHS Alexander Klemin Award and Honorary Nikolsky Lectureship (Lecture titled – “The Potential Impact of Technology on VTOL Utilization”), AIAA Sylvanus A. Reed Award, US Army Decoration for Meritorious Civilian Service, and the I.B. Laskowitz Award (N.Y. Academy of Sciences). He was an Honorary Fellow of AIAA and AHS. Professor Miller’s research contributions covered a broad range of topics, representative of his rotary wing related work. Rene’s interest in the design of unusual configurations is evident from an early paper written for McDonnell Aircraft on jet propulsion applied to helicopter rotors during his Assistant Professor period. Professor Rene H. Miller was a pioneer in Aeromechanics and Rotary Wing Flight Transportation. Source : This text is summarized from a paper presented at the American Helicopter Society 67th Annual Forum, Virginia Beach, VA, May 3-5, 2011. This is a work of the US Government and is not subject to copyright protection in the US.